Two weeks into January already, how crazy is that?! 2019, how do you feel? Did you make any goals for the upcoming year, or are resolutions not really your style? Do you set out on new goals but find yourself never following through? In that case, why do we even make goals – it becomes tempting to stop trying or to just settle for what we have… or is it? Goal setting can be a fundamental key to a successful life (whatever that means for YOU). Goals allow us to take control, to grow and transform, to become someone better, or to accomplish something better. If you have set out goals in the past and had trouble following through, you’re not alone. Not being able to follow through with a goal doesn’t mean you are a slacker or that you are undetermined; most often it just means that your success has been limited by the goal you set. So how do you set an optimal goal? Think of a goal as a dream with a deadline. You first want to identify your goal, or what it is that you want to accomplish, and then determine your purpose, or the why – what will accomplishing this goal bring you. Once you’ve got that, you can use the acronym S.M.A.R.T to finish curating your goal. Specific : Make sure your goal is as specific as possible so that you have enough direction to follow through. Measurable : Be very precise or use specific metrics to give the goal meaning and allow us to see the progress being made. You can make your goal measurable by adding something quantifiable, such as an amount. Attainable : Make your goal something achievable to avoid getting discouraged. Realistic : Ensure your goal doesn’t veer too far off from your current lifestyle. Don’t goal set in fantasy land: no one lives in a perfect world. Time : Track your goal easily by setting a timeline. A timeline also can create a sense of urgency, further motivating you to achieve your goal. Poor goal: I want to have no back pain. Optimal Goal: To decrease my central low back pain to a 1-2/10 on the pain scale, so I can lift my daughter out of her crib in four weeks’ time. Poor goal: I want to become a runner. Optimal Goal: I would like to complete a couch to 5km running program, so I can participate in a 5km charity race in two months’ time. Don’t aim for perfection, be patient and kind to yourself. Start with small goals, and if you’re having a hard time making a plan talk to someone who can help. There are always people who know more than you about your goal Allow yourself to learn and become empowered. Most importantly, if you have a slip-up, forgive yourself. Reward yourself for your effort. If you haven’t set your intentions yet, you still have time. Need help? Give us a call. Remember, when it comes to lifestyle changes, whether you’re creating new habits or changing old ones, it’s a marathon not a sprint. 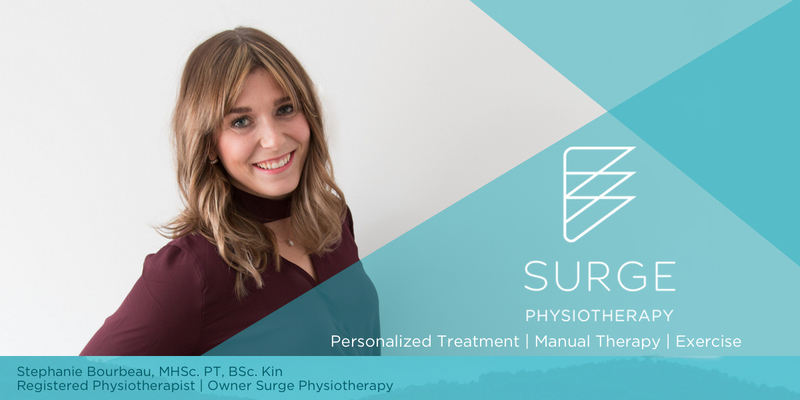 Stephanie is a bilingual, Registered Physiotherapist with the College of Physiotherapist of Ontario and the Canadian Physiotherapy Association who is committed to providing a hands on, personalized approach to physiotherapy. Stephanie, a native to the Huntsville community, developed a passion for health and wellness during her youth while competing in cross-country running, nordic skiing, and track and field. 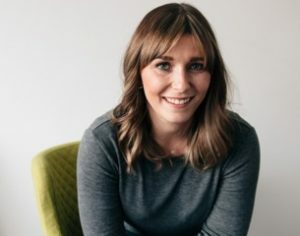 Stephanie has always had a strong caring nature and fell in love with the physiotherapy profession while volunteering at a physiotherapy clinic during high school and university. Stephanie continued to build on her passion for health care by attending McGill University and completing her Bachelors of Science in Kinesiology. During her Masters in Health Science of Physiotherapy, completed at the University of Ottawa, she completed internships in orthopaedic clinics, hospitals, home care, and neurology centres.